Seasoned shrimp with salt, pepper, cumin, and cayenne pepper. Grill. 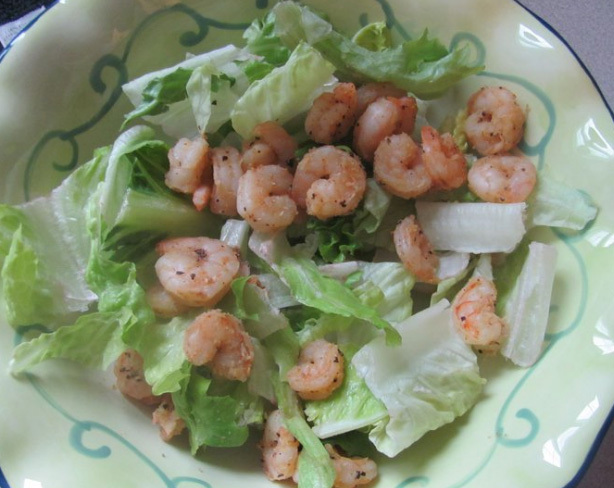 Toss together shrimp, romaine lettuce, and Simple Girl Sweet Vinaigrette Dressing. 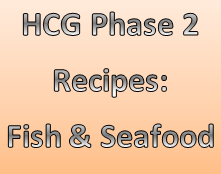 Place the fish on a George Foreman Grill or in a pan and sprinkle a mixture of paprika, chili powder, and garlic salt on the top of the fish. Use enough to almost cover the top of the fish. Season to taste. Place cooked shrimp in food processor. Pulse a few times to chop up shrimp. Or, simply chop with sharp knife. In small bowl, combine chopped shrimp, parsley, lemon juice, salt/pepper. Cover and refrigerate 30 mins-1 hr. When ready to serve, cut off top of tomato. Scoop out inside of tomato. Chop & combine inside of tomato with shrimp mix. (You may discard seeds if you like.) Fill tomato with shrimp mix. Top with a couple dashes of Tabasco (optional) and serve.